I don’t know about you, but whenever I declutter I instantly feel more on top of things and my life feels simpler. Knowing where to begin decluttering your home can feel overwhelming though, so today I thought I would share a few tips to get you started! I’d love to hear what works for you as well! Some people out there can tackle a huge decluttering task in one go, but for most of us we get overwhelmed by the task at hand and give up, leaving piles of our belongings around the house. An easy way to avoid this is to start small and tackle one task at a time. 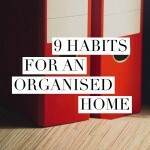 Starting with something like your handbag, one shelf or the junk drawer in the kitchen is much more approachable and will leave you feeling like you have achieved something (because you have!) and give you the motivation to move on to the next task. Once you have ticked off all the small tasks you’ll have some excellent momentum behind you, making it easier to tackle the tricker parts of the house. Some things are much easier to decide upon than others, but ask yourself these questions and just go with your gut on the answers. Even if you only get rid of the obvious things when you begin decluttering your home you’ll still be ahead of where you were. 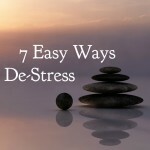 This tip ties nicely with the first one as it helps to get you started without feeling overwhelmed by all the areas you might want to tackle eventually. There are lots of parts of your home that can be decluttered in 20, 10 or even 5 minutes, so pick a spot, set a timer and get decluttering! Zen Habits have a list of 18 decluttering tasks you can do in 5 minutes, so that could be an excellent place to start. It really is amazing how much we can get through in a short amount of time if we really focus on that one task and nothing else, and if you’re anything like me it will make you want to reset the timer and move to another part of your home! The wardrobe experiment is as simple as turning all your coat hangers to face in one direction, and then when you wear an item you switch the coat hanger to face the other way. This means that at the end of each season you should instantly be able to see which clothes you haven’t worn at all, which probably makes them items you can easily discard (save for special occasion outfits for example). This is particularly helpful for those of us that have been holding on to items of clothing ‘just-in-case’ as it makes it so clear that there are items that we just don’t gravitate to for whatever reason. I’ve just done this myself and as the warmer weather is behind us I have removed pretty much all the summer clothes I didn’t wear this year, and they’re bagged up and ready to be donated. It’s such an excellent feeling! 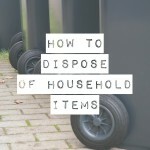 I talked a little while ago about how important creating homes for everything is and it’s equally important with regards to decluttering your home. Before tackling any of the tricker areas like your garage or office make sure you have some suitable storage solutions on hand for the items that you do want to keep. This will allow you to not only put everything away neatly to begin with, but will ensure you can keep it that way moving forward. For spaces like garages keeping things in well labelled clear containers will ensure you can keep on top of what you have in there, making finding what you want so much easier in the future! It’s important to remember that when it comes to decluttering you don’t need to strive for perfection. Over time you’ll probably declutter the same room in your house multiple times, and each time you’ll find things that you now no longer want or need and that’s totally normal. However, if when you’re doing your first pass you have some items that don’t easily fit in the keep pile but you’re also not quite comfortable with donating them (or throwing them away if they can’t be donated) then consider trying a holding box. This is simply a box you put those items in and then the box goes somewhere out of sight (top cupboards and garages are perfect spots) for 6 months. At the end of that period if you haven’t missed or needed the items then it’s usually much easier to make the next decision about what to do with them. Some decluttering gurus don’t like the idea of the holding box as it delays decision making but I think it’s still a step in the right direction and if it works for you then that’s all that matters! 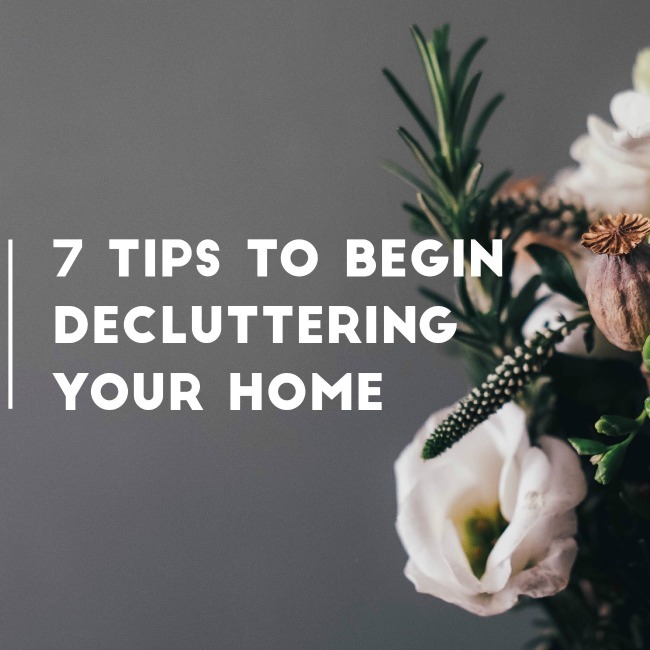 When it comes down to it, the best way to begin decluttering your home is to focus on the end result that you’re aiming for as it will help provide motivation to keep going. This might be creating some physical space in your home, reducing overwhelm, selling items for some extra money or any number of other reasons. For me, the primary one is the sense of mental space it gives me (and the physical space isn’t bad either!). Some people find it useful to find some photos of a decluttered space to use as inspiration – it might be a gorgeous wardrobe, an organised office or a beautiful kitchen – and keep looking back at that whenever your motivation wanes. Pinterest is an excellent source for these kinds of photos, that’s for sure! 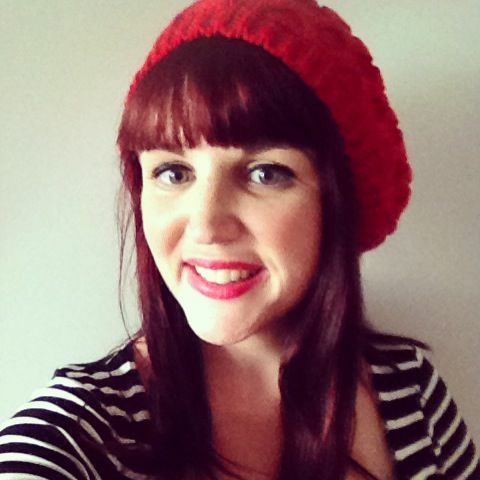 There we have it, my top tips to begin decluttering your home. I’d love to hear your decluttering tips in the comments! I need all the strategies I can get to keep on top of things! i’m taking a bag of clothes to the local op-shop tomorrow! I like the small jobs idea! baby steps! I do set myself some decluttering tasks most weeks! Ooh some fabulous tips here! I love the timer suggestion, as well as feeling accomplished for achieving one small thing, motivation indeed! So glad to hear you found this helpful! I’ve done the hanger tip for a few years now and I only had 2 skirts at the end of summer that I hadn’t worn to discard. It is such a good way to see what is worn. The holder box is a great tool for kids. I go through my kids room and put stuff in a box. Then in a month or so the kids and I go though the box and they tend to be much more willingly to discard from the box than their room. Only two skirts, that’s impressive! Great tips! I’m in the mood to declutter, have big bags at the ready for stuff to chuck and stuff to donate. Hoping to start tonight while the mood is right!